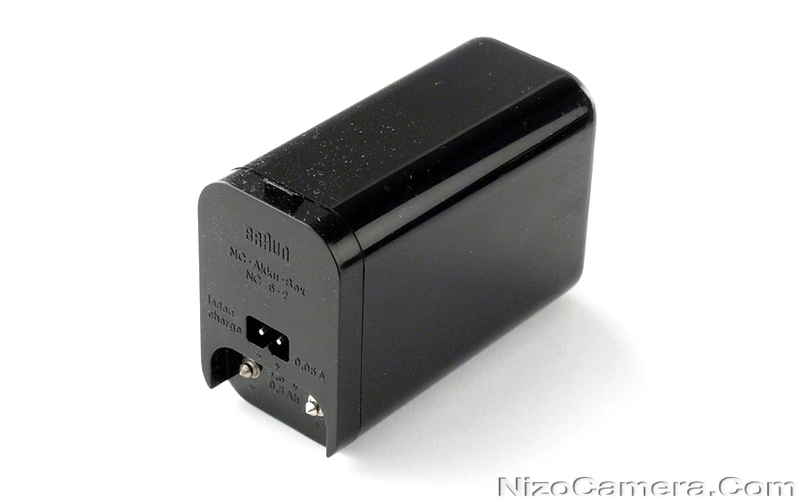 Nizo battery (accu) box (holder). Stores 6 batteries / accus (AA size). Will fit all universal and sound type Nizo cameras. Can be used with original Nizo accu charger.